You probably won’t be able to scale through traffic on this electric bike, but you may very well be able to climb hills without any difficulty. 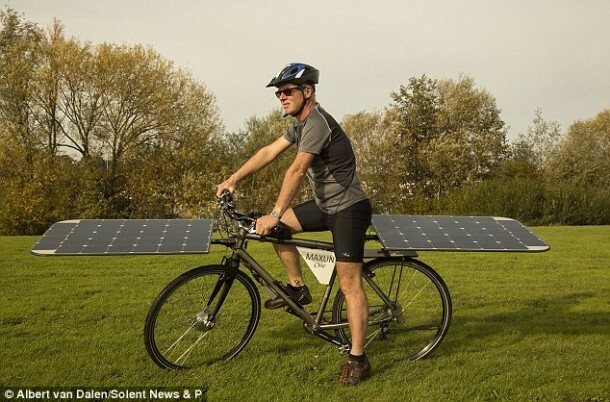 This electric bike is powered by sun and is known as The Maxun One. It can achieve a speed of 22km/h without even using a battery. 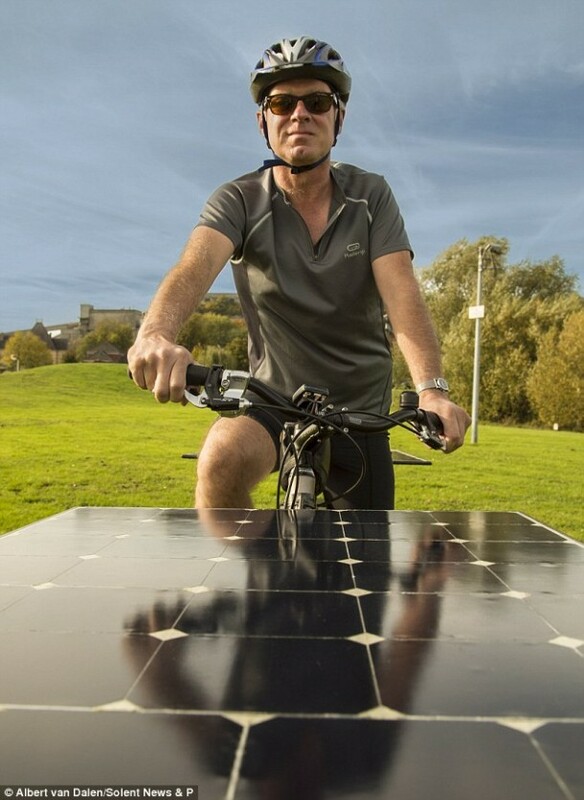 The bike has been created by Mr. Van Dalen who has embedded big solar panels on the front and behind the saddle. These panels, measuring 0.5 meters, charge the bike while it is being used. Since the panels are charging constantly, the bike is never out of power. Mr. Dalen says that he has travelled more than 1,000 miles during the last 3 months. He is 56 years old, lives in Maastricht in Netherlands, and is a software engineer. The Maxun One is handmade and has already been patented. It will be tested for entry in the Guinness World Records in summer of 2015. Only 50 of such bikes will be created and shall be sold with a price tag of $126,000. Mr. Dalen is a self-taught man when it comes to carbon composites and solar cells. He started researching on them back in 2010. 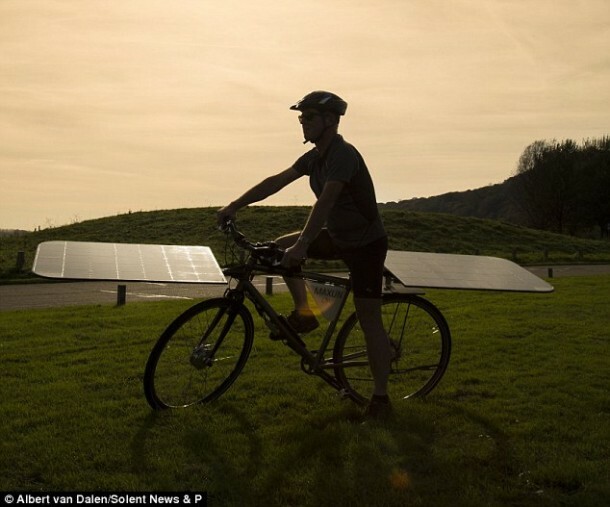 He tried different sizes of solar panels until deciding upon a size that was big enough to provide sufficient power and yet small enough to enable the bike to be used in traffic. The bike can achieve an average speed of 20 km/h without pedaling or battery. Watch the video below to see The Maxun One in action!